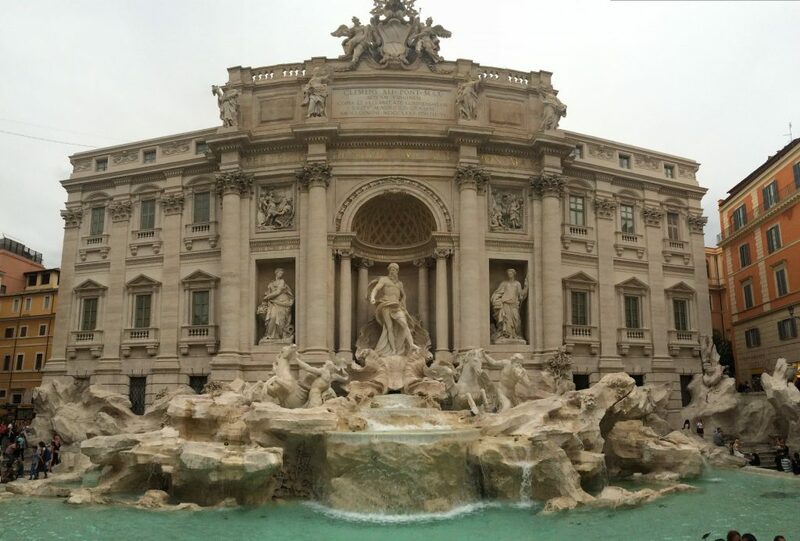 I was in Rome last week and all the photos of the sights I visited I took with my 16 GB iPhone 5S. 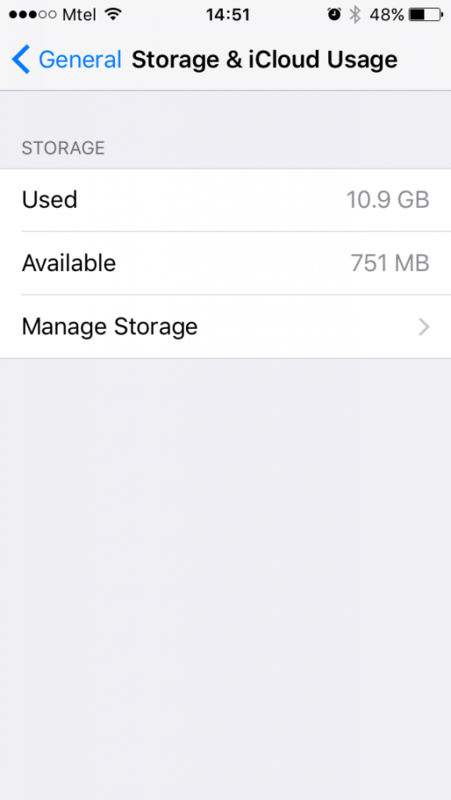 Yeah, I’m still using a 16GB iPhone 5S. The reason? Well, it’s pretty simple. I just need a phone that is FAST, light and super easy to use. Let’s look at how the magic happens. Todoist: Basically the best to-do app for me. Love the design. Love the colors. Love the UX! Love how simple it is! Instagram: Love the app! I’m very proud of how I curated my “instafeed”. Every time I check it, I see awesome photos and videos! Snapchat: I just like it. To sum up, I mostly use work-related and image editing apps. You’ve probably guessed this by now: I take a lot of photos. Like, A LOT. At this point, you’re probably wondering how on Earth did I manage to fit all of my photos from the trip (and in general) on a 16GB iPhone – and you’re right to ask the question. Here’s how I do it, and it’s pretty simple. As a digital marketing manager at a cloud storage startup, I have access to a practically unlimited amount of storage on any of my devices. How is this possible? It’s very easy. What pCloud (cloud storage) does is, it automatically uploads any photos I take in the cloud (servers) and via the apps or a web browser, I can access them ANYTIME I want,* without them taking space on my iPhone. This means that my iPhone, iPad Mini and Macbook Pro all have 2 TB of storage. Yep, you saw that right: two terabytes. With the average size of 2 MB for an iPhone 5S photo, I can save a total of 1,000,000 pictures. Of course, my account is not only full of photos. I have documents, videos, mp3s, audio books, PSDs and all sorts of other files. 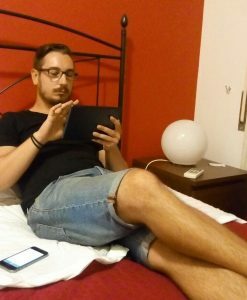 For the entire trip to Italy, my girlfriend and I took a total of 5.1 GB of photos, videos and time-lapses. This wouldn’t be possible if we only relied on the internal storage of my iPhone (751 MB) and of her Lenovo (around 1 GB). There is a lot to be seen and photographed in Rome. (And by this I mean a lot of walking too! We walked an average of 15 km per day). Here is a photo of me looking the photos in my iPad Mini while my iPhone uploads them. Pretty cool, huh? A trend I noticed was that there were a lot more people taking photos with their phones rather with point-and-shoot or DSLR cameras – so it’s not just me. 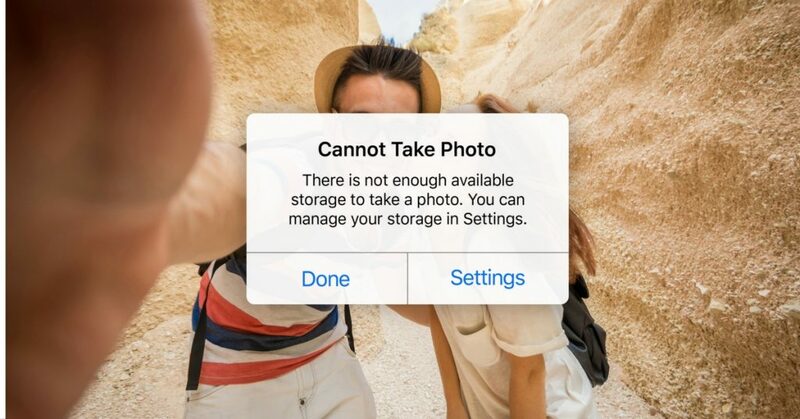 This actually makes a lot of sense given that smartphone cameras are getting better and better by the day – but storage does remain an issue. Enjoy and please share this with friends if you found it helpful. Same thing works for Android Phones too!